Add Bernie Sanders as an interest to stay up to date on the latest Bernie Sanders news, video, and analysis from ABC News. 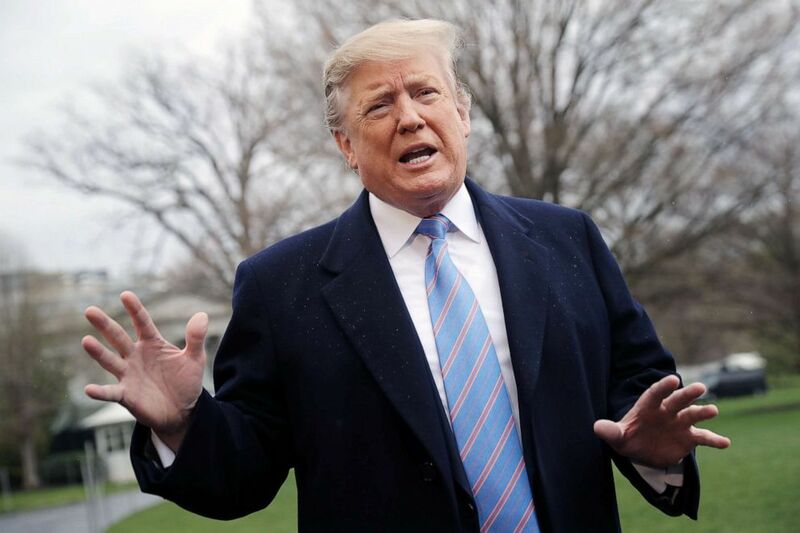 The issue is under new scrutiny in the 2020 cycle, after then-candidate Trump refused to release his returns in 2016, claiming he was under audit. President Donald Trump talks to reporters as he leaves the White House, April 5, 2019. Trump’s resistance to following the precedent set by nearly all major-party nominees over the last 40 years sparked calls for his returns from Democratic activists and officeholders. On Wednesday, the chairman of the House Ways and Means Committee, Rep. Richard Neal, D-Mass., requested six years’ of Trump’s personal and business returns, a move that could prompt a fierce legal battle. "I don't think it's sustainable to be a Democratic candidate for president and not release your tax returns," Steve Elmendorf, a Democratic lobbyist and strategist, told ABC News. "Democrats believe in transparency, and they've made a big issue about Trump not being transparent." Democratic presidential candidate Sen. Elizabeth Warren, speaks at the Heartland Forum in Storm Lake, Iowa, March 30, 2019. Four of the 17 official Democratic candidates have released tax returns: Sens. 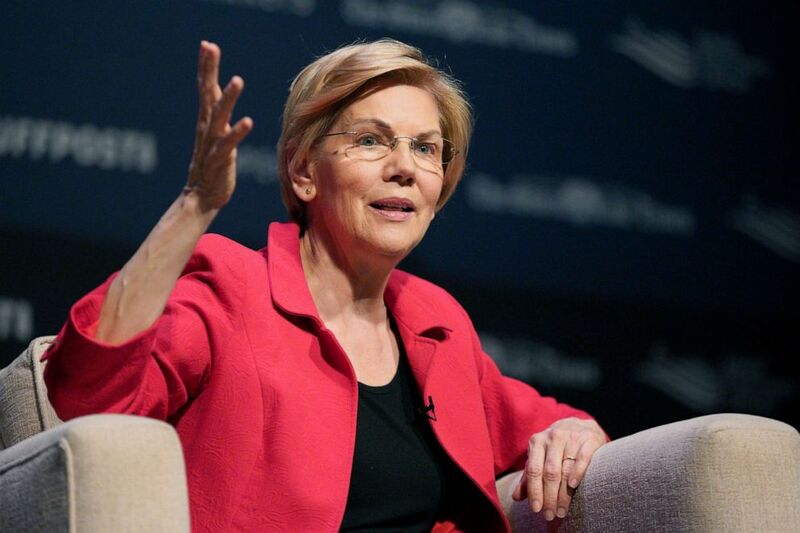 Kirsten Gillibrand of New York, Amy Klobuchar of Minnesota, and Elizabeth Warren of Massachusetts have released years of personal returns, along with Washington Gov. Jay Inslee. Others, such as Sen. Cory Booker of New Jersey, have previously released snippets of their financial history during other campaigns. "In many ways, he's safe to consider the front-runner in the Democratic field right now," Brian Fallon, a Democratic strategist who served as national press secretary for Hillary Clinton's 2016 campaign, told ABC News. "If he doesn't release his tax returns, that's disqualifying." As he battled Clinton for the party’s nomination in 2016, Sanders released a brief summary of his federal returns, known as a Form 1040, from 2014. Under pressure from critics and the Clinton campaign, he eventually released his full 2014 federal tax return, filed jointly with his wife, Jane, providing a somewhat clearer picture of his finances from a single year. Clinton released eight full years of tax returns on her campaign website, and later released her 2015 tax returns, an effort to pressure Trump to do the same. "There was this sense he was kicking this can down the road until he was out of the race," Fallon said of Sanders. "Presumably, when he decided to run this time, he should've factored in that this campaign was going to come with an added level of scrutiny." Asked when Sanders will release his returns, his campaign pointed ABC News to the senator's comments on “The Daily Show” Thursday night, where he suggested he may release a decade of federal returns as Tax Day approaches. “April 15 is coming. That will be the tenth year and we will make them all public very shortly,” he told host Trevor Noah. Thorndike, the tax historian, suggested the battle over Trump’s disclosures could lead to new legislation requiring candidates and presidents to release returns, comparing it to the 22nd Amendment limiting presidents to two terms in office ratified in 1951 – preserving a precedent broken by President Franklin Roosevelt in law. "Trump has underscored just how fragile this tradition is,” he said. In March, Democrats passed HR 1, a package of voting rights, good-governance, and election security proposals that would require presidential and vice-presidential candidates to release ten years of tax returns. The measure has stalled in the Senate.